Haworth YHA01535 642234work01535 643023fax Tourist HostelHaworth YHA is a hostel located in Haworth. Revisit the tempestuous world of the Brontë classics, Wuthering Heights and Jane Eyre. 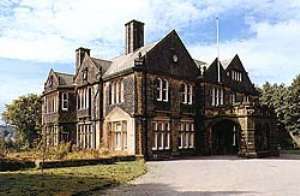 This large Victorian mansion is built in a grand style and overlooks the village of Haworth. Good home cooking and a warm welcome await. Ideal for groups, families and independent travellers. Conference, meeting rooms, games room and comfortable lounge are also available. Licensed. Victorian mill owner's mansion overlooking the famous Bronte village. Good home cooking and a warm welcome. Ideal for groups, families and independent travellers. Dorm from £15.00. Twin room from £29.00. Four share room from £39.00. Breakfast £5.25 per person. Children welcome from any age. From Haworth centre take the B6142 towards Keighley. Longlands Drive is almost opposite the Bronte Hotel. Buses from Keighley, nos. 663, 664 or 665.